The holiday season can be a stressful time for a lot of reasons, but traveling is one of the biggest ones that can affect your cheerful demeanor. There’s so many factors that can cause chaos on your plane, car, or train ride. 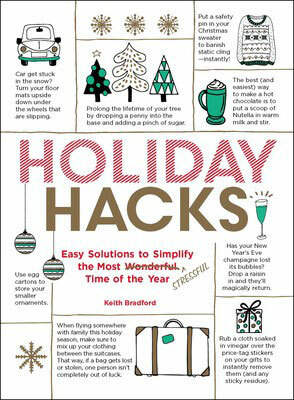 Keith Bradford, author of HOLIDAY HACKS, shares some of his biggest tips for if you’re flying somewhere for the holidays. #1: Be anonymous: use your browser’s incognito tab or delete your history every time you go online to check flight rates. The prices for flights actually go up when you visit a site multiple times. 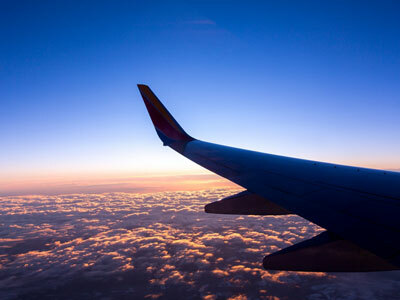 #2: Typically the cheapest time to book a flight is six to eight weeks before you want to travel. #3: The cheapest days to buy tickets are Tuesday and Wednesday. #4: The cheapest days to fly are Tuesday, Wednesday, and Saturday. #5: Booking too early (six months out) can result in paying up to 19 percent more. #6: Sunday is usually the most expensive day to fly. #7: Prices for flights can change up to three times per day. #8: Discount ticket sales are usually offered at the beginning of the week. 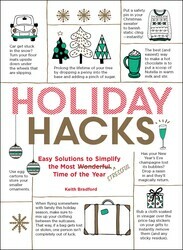 #9: December 22–29 are the most expensive days to fly. #10: The cheapest days to fly are after Christmas between December 31 and January 5.